The team of Sliema United Athletic Club, Malta in 1913. 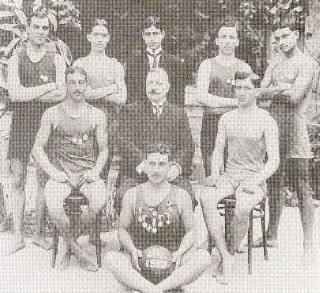 The players: H. de Baroni Sciberas Trigona, I.Azzopardi, H.Demartino, E.Busietta, L.Calleja, V.Bonavia (captain), E.Bonavia (Hon. President), C.Busietta and A.Rizzo.